Dongho, Eli, Key, Thunder to be on a new variety show! These four will start first recording the title video at 10 o’clock on the 5th. Aiyaaaa~~ I’m very very excited!!!!! Dongho + Key in the same show! *melts*. xD I can’t wait!!!!! As you see, SHINee and MBLAQ lives in the same area. ;]I want to live there with SHINee. KARA and Brown Eyed Girls lives in the same area. The river in the map refers to Han River in Seoul. – G-Dragon – Heartbreaker and Gossip Men. – G-Dragon and Taeyang – slow version of Lie and Korean Dream. –Kara, 4minute and After School -Heartbeat. – Kara – Honey and Same Heart. – 2NE1 – uniform version of I Don’t Care and Fire. 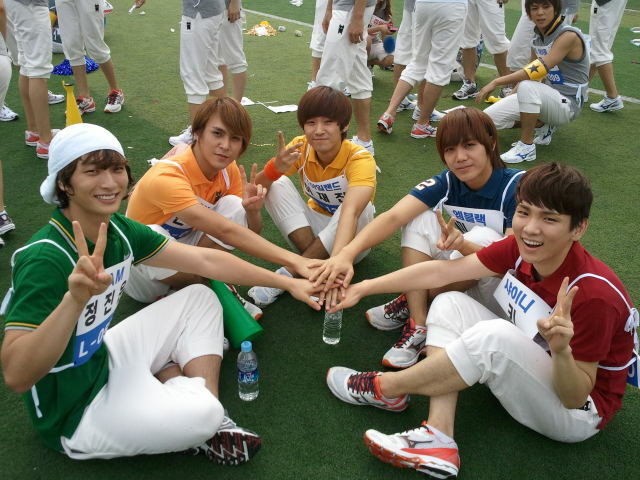 and How can we forget about 2PM’s, You’re Beautiful Parody! !~?